As apex predators, sharks play a critical role in maintaining healthy marine ecosystems. Sadly, populations around the world are declining rapidly and it's estimated that more than 70 million are being ruthlessly killed every year just for their fins. Shark finning is the incredibly cruel and brutal practice of cutting off their fins, often while they're still alive, and throwing their bodies back into the ocean to suffocate, bleed to death, or be attacked by other predators. Unlike their meat, their fins are commercially valuable and are used to make shark fin soup, which is considered a delicacy in some Asian communities. Not only does this trade threaten individuals, and species (including threatened and endangered species), it's having a devastating impact on marine ecosystems. While some states have acted to protect sharks from this brutal trade, the U.S. is still playing a major role by importing and exporting shark fins, and acting as a transit country for shipments of shark fins. The Shark Fin Sales Elimination Act (H.R. 1456/ S. 793) would ban the import, export, possession, trade, and distribution of shark fins and products containing shark fins, eliminating the need for further state legislation and reducing our contribution to this incredibly inhumane and unsustainable trade. 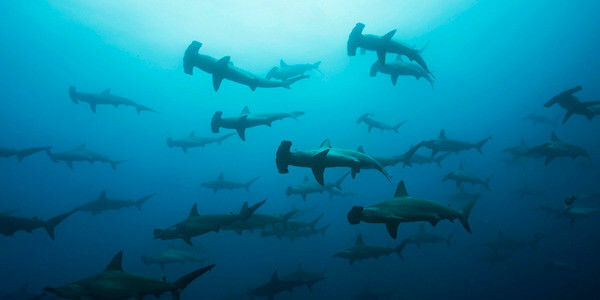 Please sign and share the petition urging Congress to stand for healthy marine ecosystems and the protection of sharks by passing this important piece of legislation.